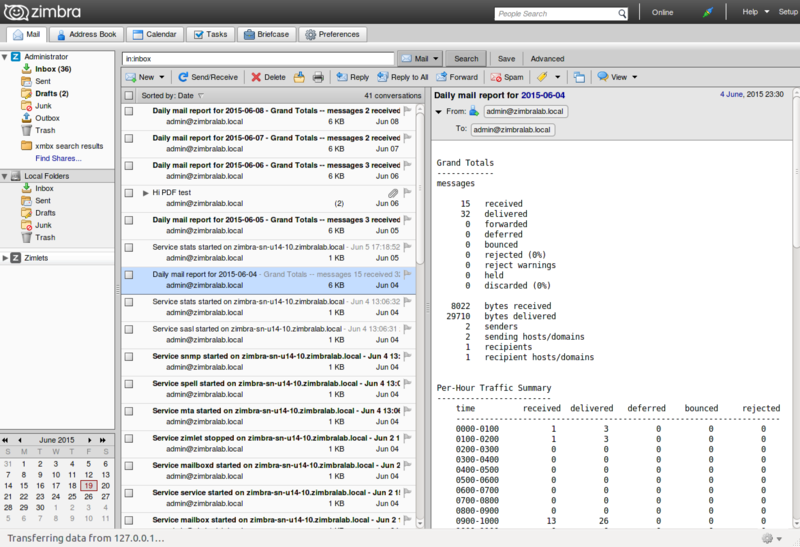 Zimbra Desktop client lets you manage your various email accounts in one desktop tool. You can store and sync your email, calendar, contacts, files and documents between the servers and your computer, making them locally accessible when working off line. When you re-connect, all your data automatically syncs between the servers and your computer. Zimbra mail, Yahoo! mail, Gmail, Microsoft Outlook and any other work or personal email account that uses POP or IMAP can be set up in Zimbra Desktop. Each account is separately maintained. When you receive new email messages in any of your accounts, and you have Internet access, the message is automatically downloaded to your Zimbra Desktop. Installing Zimbra Desktop on a Linux platform is performed through the command line interface (CLI). 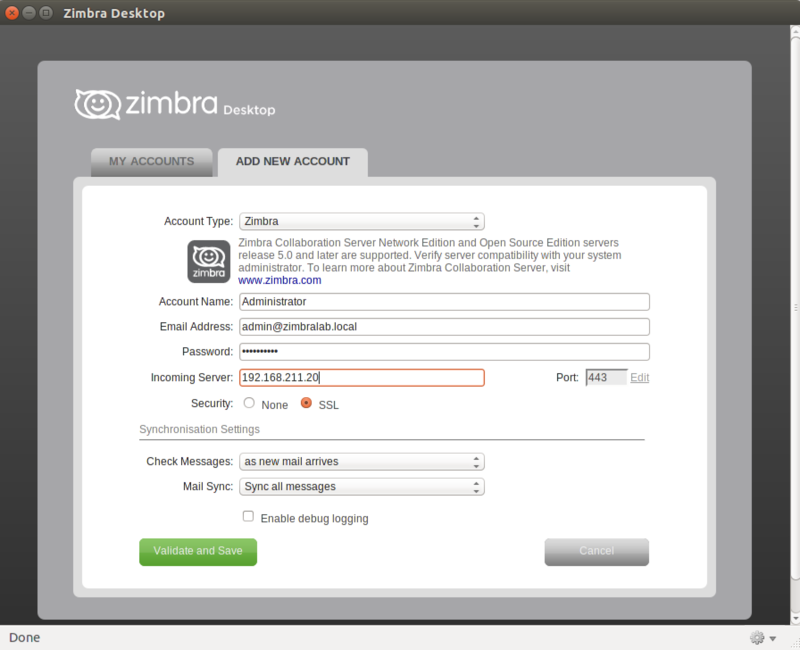 2.- Access the Zimbra Desktop installation package by downloading or using the CLI. 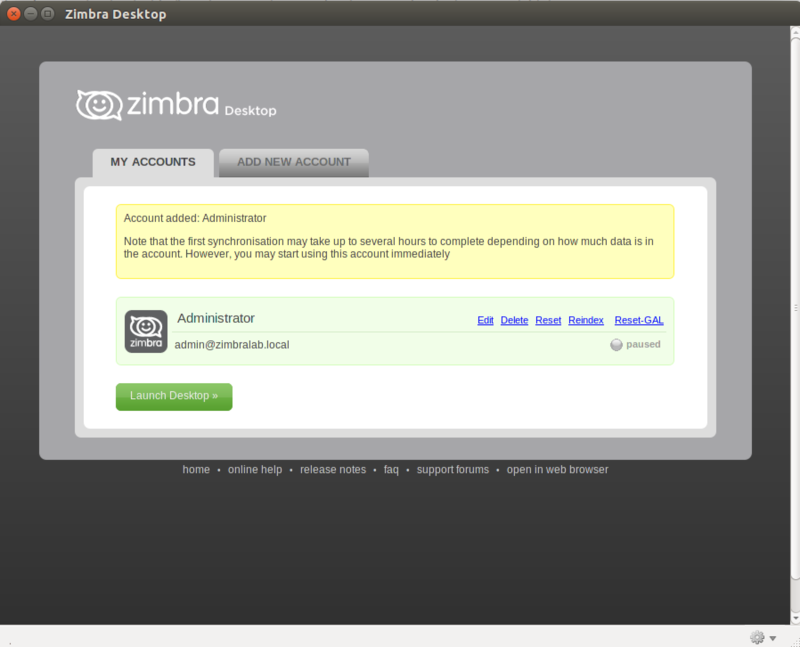 Log in as root, or use sudo as shown below, and unpack the Zimbra Desktop .tgz file. 3.- Change directories to the unpacked file and then launch the install script. 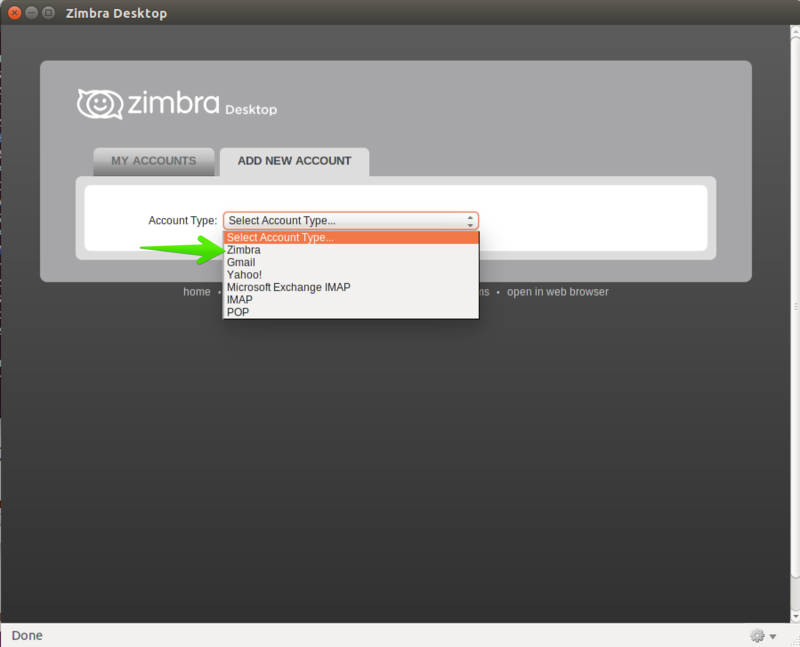 Welcome to Zimbra Desktop setup wizard. This will install Zimbra Desktop on your computer. PLEASE READ THIS AGREEMENT CAREFULLY BEFORE USING THE SOFTWARE. ZIMBRA WILL ONLY LICENSE THIS SOFTWARE TO YOU IF YOU FIRST ACCEPT THE TERMS OF THIS AGREEMENT. BY DOWNLOADING OR INSTALLING THE SOFTWARE, OR USING THE PRODUCT, YOU ARE CONSENTING TO BE BOUND BY THIS AGREEMENT. IF YOU DO NOT AGREE TO ALL OF THE TERMS OF THIS AGREEMENT, THEN DO NOT DOWNLOAD, INSTALL OR USE THE PRODUCT. You have finished installing application files. Would you like to continue to install data files for user: root ? 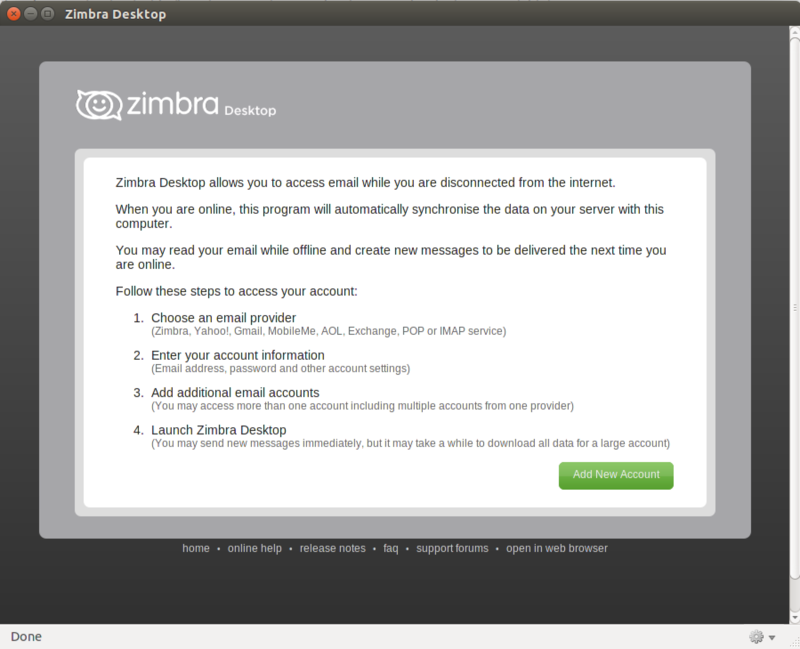 This will install Zimbra Desktop for your local user. Once Zimbra Desktop is installed, you can do double click in the icon located in the Desktop, then Zimbra Desktop will open and the Configuration Wizard will shows.